No, no! Remaining here on earth is even less permissible for those redeemed by Jesus than for their Savior himself. They grow into one plant with their Lord and are thus cut off at the root from this world. To live in him is to live outside the world. Like pilgrims on a pilgrimage, they are no longer at home on earth but are on a journey to their real homeland. Whoever finds what they are looking for here below lowers them self [sic] beneath their true calling as a human being. They have no fellowship with God’s holy angels, but merely with the foxes, birds, and animals of the forest. …Accordingly, whoever follows Jesus turns his back on the world. She repeatedly finds its charms fading. In her heart and soul she crucifies its glories. She does so not because she relinquishes a desire for happiness, but because she yearns for a greater, higher, richer, and more brilliant glory. In hope, he desires a glory through which already now his quieted heart finds itself swelling with a holy joy. This is joy in the divine splendor and pure luster of God’s kingdom. Taken from the new translation by James A. De Jong of Abraham Kuyper’s Honey from the Rock (Lexham Press, 2018), pp.7-8. The first issue of the Standard Bearer in the new year is now out (Jan.1, 2019) and the opening meditation by emeritus PRC pastor Rev. James Slopsema contains many good thoughts for us as we stand at the beginning of this new year of our Lord Jesus Christ. Here we have no continuing city, but seek one to come. To seek something speaks of an earnest desire for something. It also implies that one does all in his power to attain the thing that he desires. So also we seek the continuing city that is to come. The “we” includes all the true seed of Abraham that have the same faith as Abraham. The fact that the true believer seeks the heavenly city of God arises out of his faith. Faith does not seek the things here below but the things that are above. That is, faith is not interested especially in things earthly and physical – earthly riches, pleasures, position, power, and so on. Faith is interested in the things that are eternal – the continuing city that God has reserved for His people in Jesus Christ with all its spiritual riches and pleasures. Faith is interested in the earthly only in so far as it is necessary to serve the Lord God and enjoy a foretaste of the eternal riches that are to come. And so the believer is one that seeks the continuing city that is to come. This seeking of the eternal city of God must control our lives for the New Year and for every year the Lord gives us during our earthly pilgrimage. Interestingly, what is stated as a fact in this passage for the true believer is also given as an admonition in other passages, although using different language. The necessity of these admonitions is the sad fact that the believer in weakness of faith does not always seek the things that are heavenly and eternal but the things here below. His desires are too much earthly and not enough heavenly. He becomes distracted by the things that perish, losing sight of the things that continue. This also hinders him from going outside the camp to be sanctified in the blood of the Lamb. Let us this year and every year that remains live in the faith of our spiritual father Abraham who looked for a city which hath foundations, whose builder and maker is God. For this final day of 2017, fittingly the last day of rest this year for us God’s pilgrim people, we consider these powerful words of John Calvin on Psalm 90:3-8, as found in his commentary on that passage (Vol.V, Baker, 1979, p.465, or online here). The design of Moses is to elevate the minds of men to heaven by withdrawing them from their own gross conceptions. And what is the object of Peter? [in 2 Peter 3:8]. As many, because Christ does not hasten his coming according to their desire, cast off the hope of the resurrection through the weariness of long delay, he corrects this preposterous impatience by a very suitable remedy. He perceives men’s faith in the Divine promises fainting and failing, from their thinking that Christ delays his coming too long. Whence does this proceed, but because they grovel upon the earth? Peter therefore appropriately applies these words of Moses to cure this vice. As the indulgence in pleasures to which unbelievers yield themselves is to be traced to this, that having their hearts too much set upon the world, they do not taste the pleasures of a celestial eternity; so impatience proceeds from the same source. Hence we learn the true use of this doctrine. To what is it owing that we have so great anxiety about our life, that nothing suffices us, and that we are continually molesting ourselves, but because we foolishly imagine that we shall nestle in this world for ever? Again, to what are we to ascribe that extreme fretfulness and impatience, which make our hearts fail in waiting for the coming of Christ, but to their grovelling upon the earth? Let us learn then not to judge according to the understanding of the flesh, but to depend upon the judgment of God; and let us elevate our minds by faith, even to his heavenly throne, from which he declares that this earthly life is nothing. Looking for a profitable way to end the year tonight? Allow me to give you a couple of ideas. First, attend the special Old Year’s worship service held in one of the local PRCs. Second, join the Voices of Victory, Sacred Harmonies, and the Covenant Quartet at Hudsonville Reformed Church anytime between 8 and 11 p.m. this evening, for a night of remembering, reflecting, and praising our God in song. Here are the details! We would love to see you there! Come when you can, stay as long as you like. From my wife and myself we extend to all of our readers a blessed and happy Thanksgiving Day greeting! May we together give deep thanks to our God for every blessing in Christ our Lord, resting in contentment and joy in all of God’s goodness to us this day and throughout the year, and trusting Him for every need for every day. For our reflection today we post this prayer/meditation from The Valley of Vision titled “Blessings.” I believe you will find it fitting for this Thanksgiving Day. by the effectual working of thy Spirit’s power. when physical well-being is at its lowest. now sing before thy throne and before the Lamb. Thou art wise to give me a taste of both. that set me longing to have my fill. But thou art all I need. And this music video from the PR Psalm Choir is also an appropriate song of thanks for our reflection. 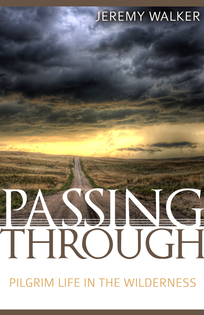 Her article this time focuses on our need (especially that of the Christian wife and mother) to hold on to the “things that remain” in the midst of life’s trials and temptations. In our trials when pressure and strain builds, when everything around us seems to be collapsing, we seek to hold on to something stable, too. Whether our stress adds up to 10 points or 310, God uses events like this to teach us that He alone is our unshakeable Rock. He teaches us this by the use of illustrations, as well. Earthquakes are for “…the removing of those things that are shaken, as of things that are made, that those things which cannot be shaken may remain” (Hebrews 12:27). We must examine what we are standing on in our afflictions – is it the created or the Creator, the shaken or the unshaken? When we stand on what we thought was dependable but is now crumbling right from under us, we are standing on the wrong thing. Christ is teaching us to hold on to, to trust, that which will remain. …Christ is coming to remove the shaken in order to reveal that which cannot be shaken! All the sin, wickedness, and haters of God will be destroyed, while Christ and His unmoveable kingdom will be revealed in all of its fullness, glory, and majesty. We long for the birth of this new day. Until then, we are prone to tremble with fear and doubts when the Lord gives us trials. Our home is destroyed. Our health or the health of our loved one is failing. We have anxious thoughts, fearing the unknown. Will the surgery be successful? Will the chemotherapy work? Our child is wayward. Our husband loses his job and financial worries keep us awake. Our spiritual enemies do not want us to be firmly grounded upon the Lord. They try ways to shake us to stop trusting our heavenly Father. They tempt us to doubt God’s love and inscrutable wisdom in the trials God sends for our good. These are the times, most especially, that God is turning our eyes to look upon the things that remain. As we U.S. citizens celebrate our country’s 240th birthday today, this little historical note on why July 4 became our “Independence Day” from “Today I Found Out” is instructive. We should never forget the history behind our independence, nor how God has used this liberty to bless and preserve His church and people in this land. And may we as God’s people count it a blessing to belong to this great land, while also remembering that our true liberty is in Christ and His glorious kingdom of grace. While it is often said that the Declaration of Independence was signed on July 4, 1776, this isn’t actually correct. In fact, nobody signed it on the 4th. This is contradictory to Thomas Jefferson’s, John Adams’, and Benjamin Franklin’s account of events. On top of their accounts, the public congressional record of events back their story. So how do we know it didn’t happen this way? Further evidence comes from the interesting fact that the parchment version of the Declaration of Independence that is on display and kept in the United States National Archives wasn’t actually written until July 19th; this being a copy of the approved text that was announced to the world on July 4th, with about 150-200 copies being made on paper and distributed on that date (26 of which are still around today, thus pre-dating what is now generally thought of by most as the “original”). So, in the end, this signed document probably would have been copied by Timothy Matlack, Jefferson’s clerk, rather than penned by Jefferson himself, and certainly couldn’t have been signed on July 4th. So why did he think July 2nd would be Independence Day and how did July 4th end up getting the nod instead? Because July 2nd is when the Second Continental Congress voted to approved a resolution of independence. 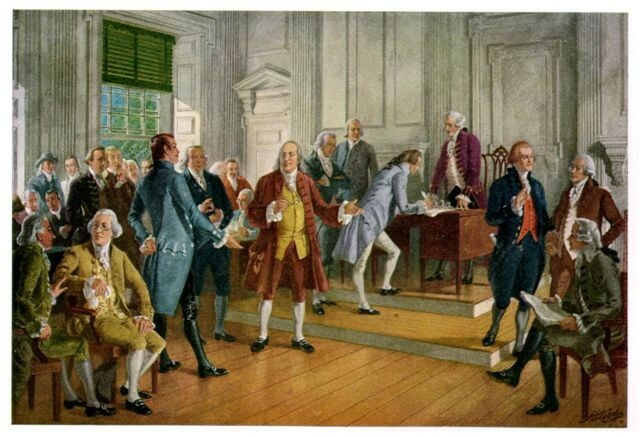 Although nobody voted on or signed the Declaration of Independence on July 4th, that was the date the Declaration was announced to the world, and why it was ultimately chosen as Independence Day. 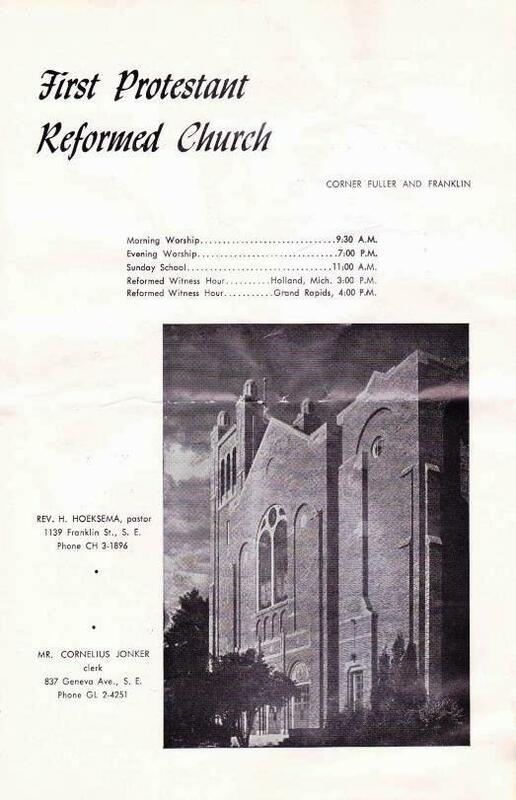 For our PRC archives item today we publish a bulletin from First PRC, Grand Rapids, MI, dated August 30, 1964. An inconspicuous date, you may think – until you read the notices and see what was happening in this historic PRC, especially as regards her crippled pastor, Rev. Herman Hoeksema. Here you will find from his own pen, a significant pastoral note to the congregation informing them of his condition following his second stroke. This would mark the beginning of the end of his earthly sojourn. 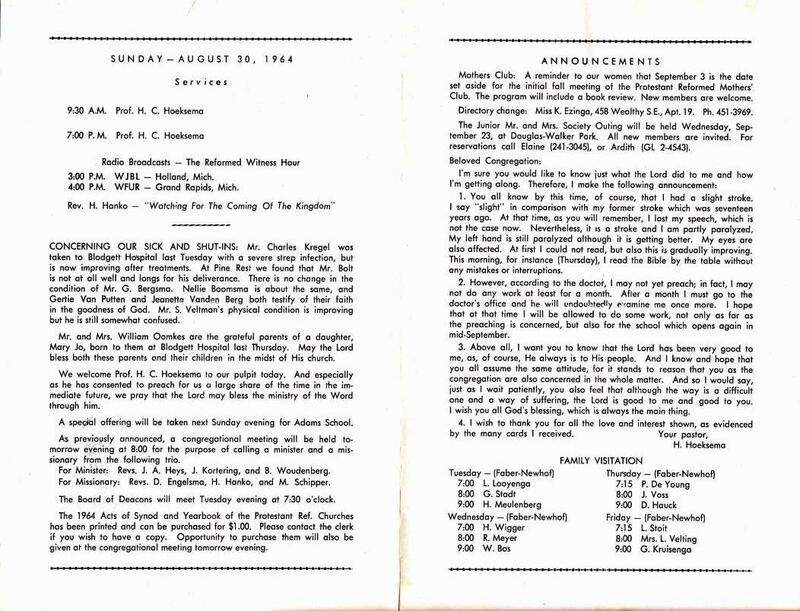 Below is the front cover of the bulletin as it appeared in those days, and the inside pages with its various announcements – other significant ones too (click on the images to enlarge). Reminding us on this date of July 23, 2015 that the life of God’s people – pastors too – is one of affliction and hope – for we are all pilgrims and strangers in this world. Such is the title of a brand new book published by Reformation Heritage Books, which was sent to me for review. The author is Jeremy Walker, pastor of Maidenbower Baptist Church in Crawley, England, who also authored the popular book A Portrait of Paul: Identifying a True Minister of Christ. Here in John 17 the Lord speaks of Christians as those who, having been given His world, now sustain a relationship to the world that is conditioned by their likeness to and connection with Him: ‘They are not of the world, just as I am not of the world.’ But notice further that the Lord does not pray that the world would be taken away or that we would be taken out of the world. Instead He pleads that we would be protected and preserved from the evil one as we make our way in the world. Our relationship to the world is conditioned by and patterned after His own. So the Savior prays that we would be holy in this world – living distinctively and increasingly as those who belong to and are set apart by and for God – under the influence of the truth of God. He desires that we should conduct ourselves in accordance with the purposes for which we have been sent in just the same way that the Son was sent by the Father. To this end and for this purpose, on our behalf the Son sanctified Himself: He consecrated Himself entirely and without reserve, committing Himself entirely to His duty before God in such a way as to secure the same end for His people (p.3). On the RHB website is posted the Table of contents, which I give you here so that you can see how Walker handles the subject. If any of our readers wish to review the book in more detail for the Standard Bearer, contact me and the book is yours. 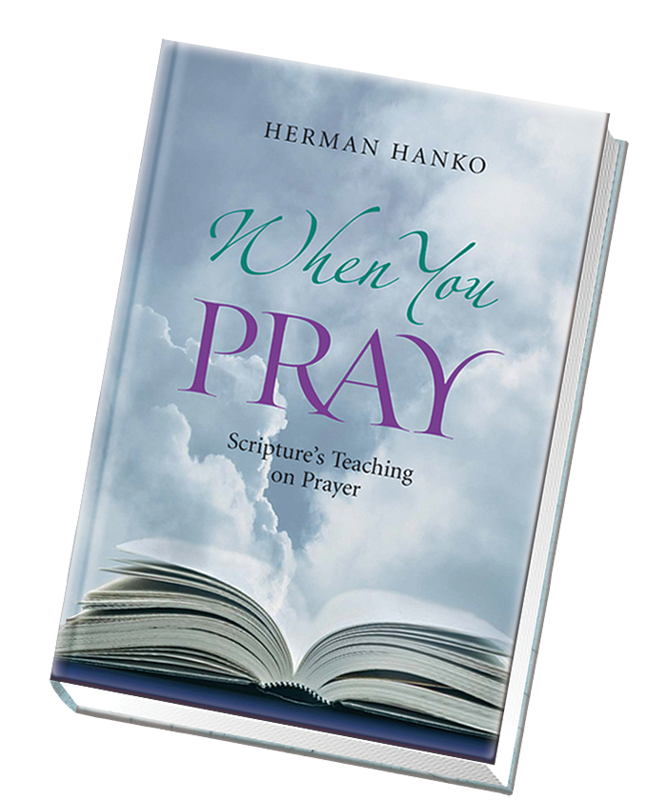 Tonight our church discussion group will be treating three chapters from Prof.H.Hanko’s book When You Pray: Scripture’s Teaching on Prayer (RFPA, 2006). Chapter 11 deals with the subject of “prayer and chastisement”, an important matter to every child of God. Near the beginning of that chapter Hanko points to “three ways in which chastisement is related to prayer”, the first of which I post here today – for your benefit too. I trust you will see why, as each of us struggles in Christ’s school of prayer, not only to learn how to pray but also to pray, period. First, chastisement may come, and frequently does, because we fail to make prayer the important part of our life that it ought to be. We become very involved in our obligations, our work, and our pursuit of pleasure. We rarely have time to think of God, much less to walk in the consciousness of our dependence on him. Prayer, if we engage in it at all, is sporadic, hurried, stereotyped, and mechanical. God uses chastisement to teach us to return to a life of prayer and fellowship with him. We are called to walk as pilgrims and strangers in the world. At times we find ourselves altogether too much at home here, so that every thought and desire of heaven fades from our consciousness. This needs correction, and God does what is necessary to correct us. Calvin says in his commentary on the Gospel according to John that God sends us afflictions so that we do not forget that heaven is our home (p.85).